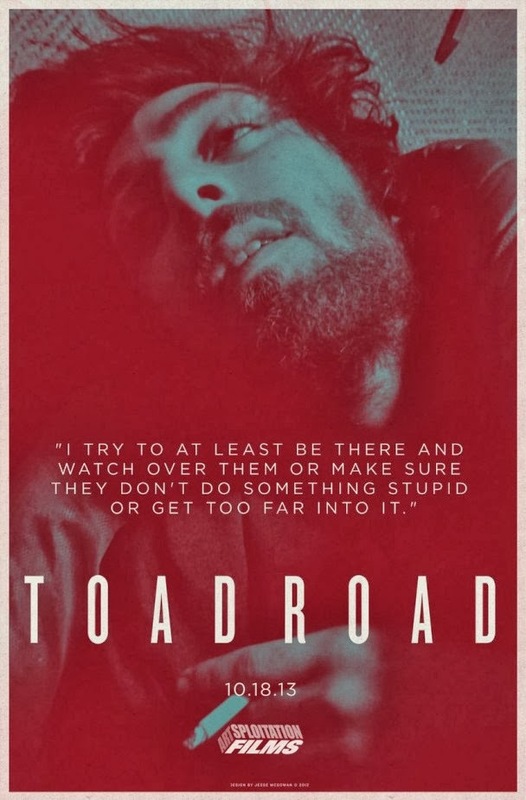 Some new posters and a teaser for the upcoming film Toad Road have just found their way into my inbox, and I thought you guys might enjoy taking a peek. 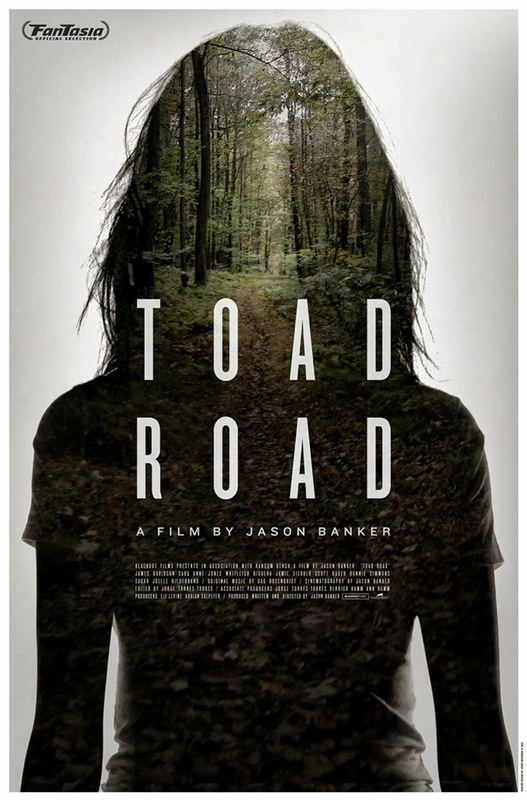 As SpectreVision and Artsploitation lead up to the theatrical premiere of Jason Banker's TOAD ROAD, a new clip from the film and two character posters are now released for your viewing pleasure. Expect more in the weeks to come! 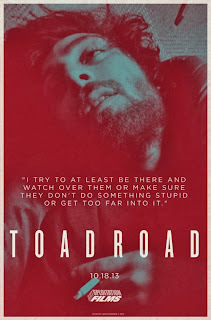 This October, Artsploitation Films, the cutting-edge film distribution company founded by TLA Entertainment president Raymond Murray, in association with Elijah Wood's genre-themed production company SpectreVision and Random Bench, will unleash the haunting and mesmerizing Toad Road via limited theatrical release. The film has been described as a hallucinatory and hypnotic odyssey through mutating realities, drug use, urban legends, and nightmares. 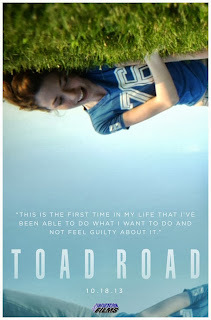 The story follows a young college student who befriends a group of hard partying friends and finds herself drawn into the local legend of Toad Road—a pathway in the forest rumored to contain the seven gates that lead directly to Hell. 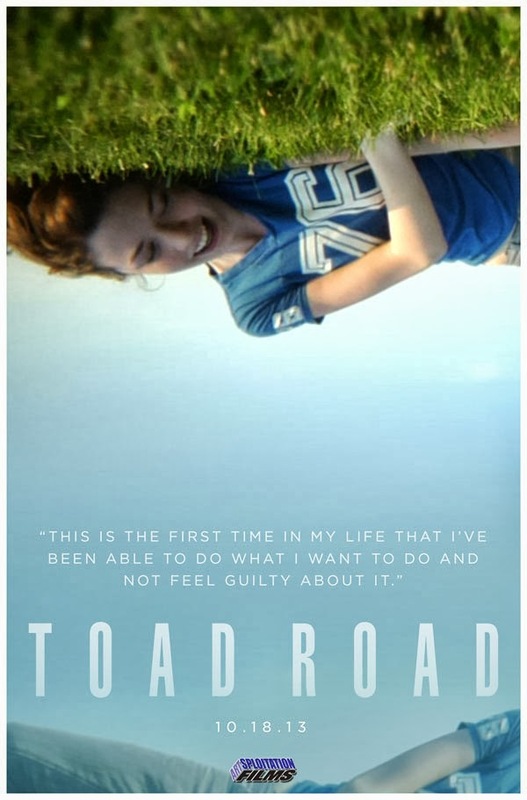 Toad Road displays a disturbing portrait of contemporary youth culture where the lines between perception and reality are blurred with often frightening results. 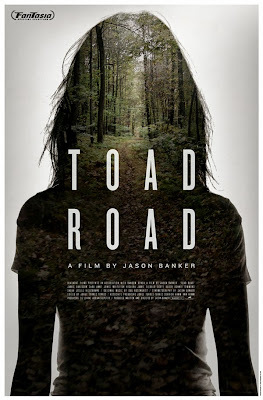 Winning the Best Director and Best Actor awards at the 2012 Fantasia International Film Festival and Best Picture at the Lausanne Underground Film and Music Festival, director Jason Banker's film blends documentary footage with horror elements to create a cinematic experience like no other. The film opens Friday, October 18th, at the Arena Cinema in Los Angeles and in New York at Cinema Village on Friday, October 25th.